In this day and age, where I often find myself buying food in a hurry on my way back to work, and everything comes from the aisles of a huge supermarket – from shiny apples to French cheese to fresh soup – I find food markets even more compelling. 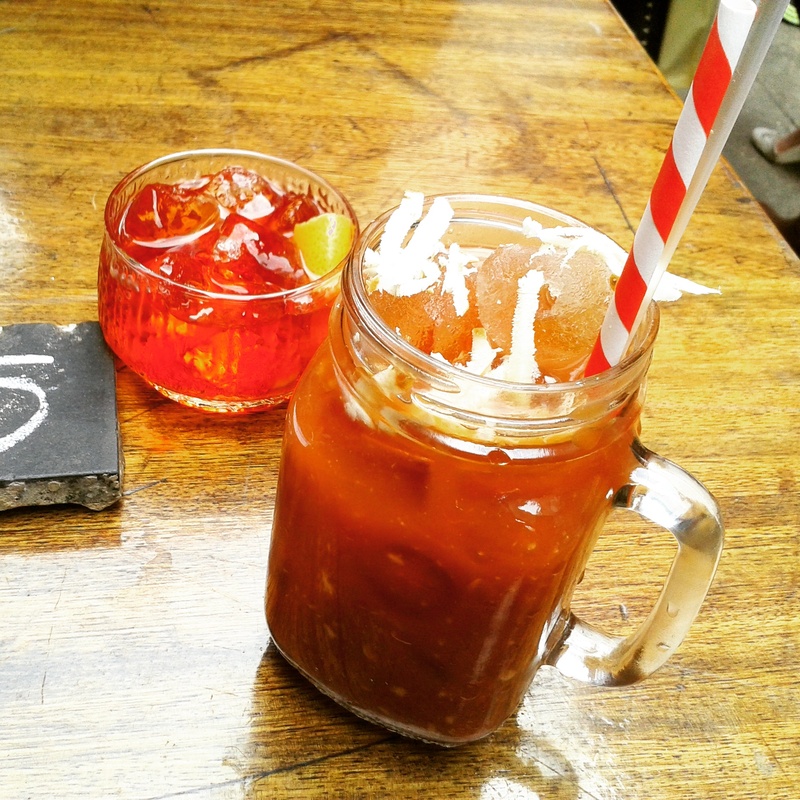 The thought of picking up nice sourdough bread here, and a little pastry for tomorrow there, and in the meantime mingle and soak the sun by wonky tables outside a pop-up gin bar, or have a quick, delicious bite while standing, is especially appealing at the weekend. Little bird gin is a lovely gin distillery with a vintage feel and romantic decor. Their citrussy and refreshing gin is distilled in Peckham, and this pop-up bar on Malty Street is where they serve delicious gin-based cocktails. While the perfect-gin and tonic was bright and refreshing, with a beautifully pink slice of grapefruit in lieu of lemon that complemented perfectly the bitterness of tonic water, the jewel-hued negroni was the star of the show. 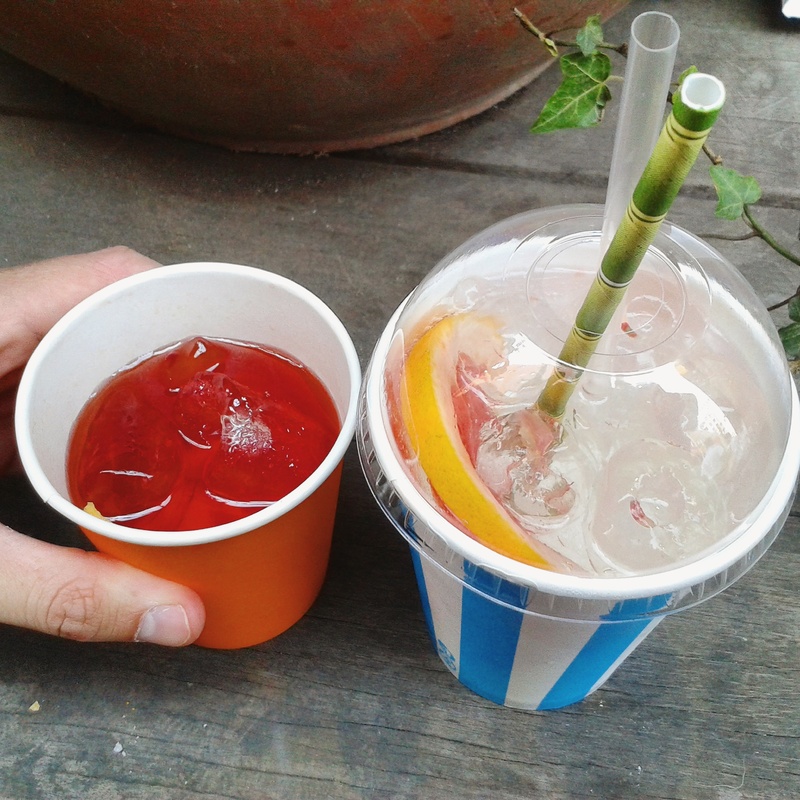 You can also have drinks to go, served in candy-esque retro striped paper cups. I adore smoked salmon and Hansen & Lydersen just know smoked salmon. This Stoke Newington smokehouse make beautifully pink, hand-filleted and hand-salted salmon, with a wonderful texture and a good balance of smokiness and savouriness that never feel overpowering. They also know how to serve smoked salmon. Their Scandinavian-inspired open sandwiches are delicious, simple enough to let the salmon shine, but complex enough to make the end result much greater than the sum of its parts. 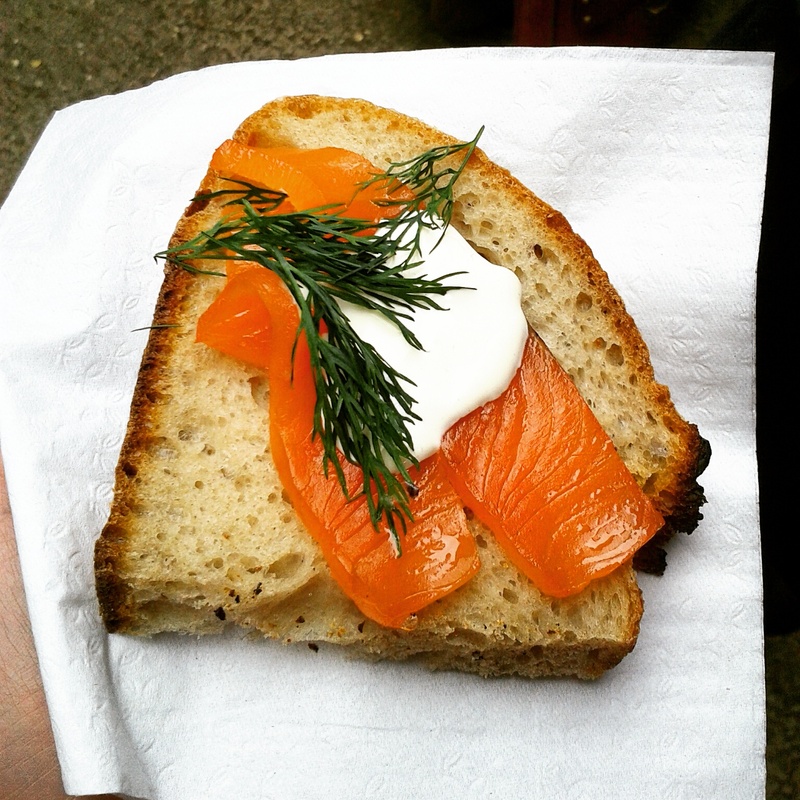 The jewel-hued salmon is served on a slice of crusty bread with a dash of sour cream and dill. 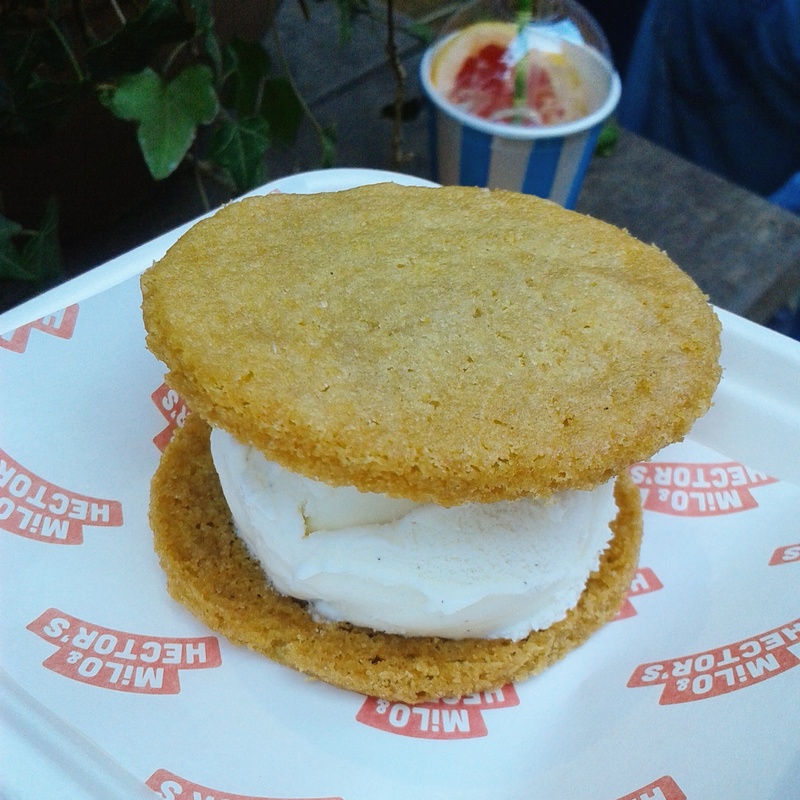 While St John’s bread and doughnuts are to die for and Bad Brownie make incredibly moist and fudgy brownies in a variery of creative flavours, a delicious recent addition to the market is Milo and Hector’s, a pastel blue ice cream sandwich truck serving delicious ice cream sandwiched between chewy, soft cookies. 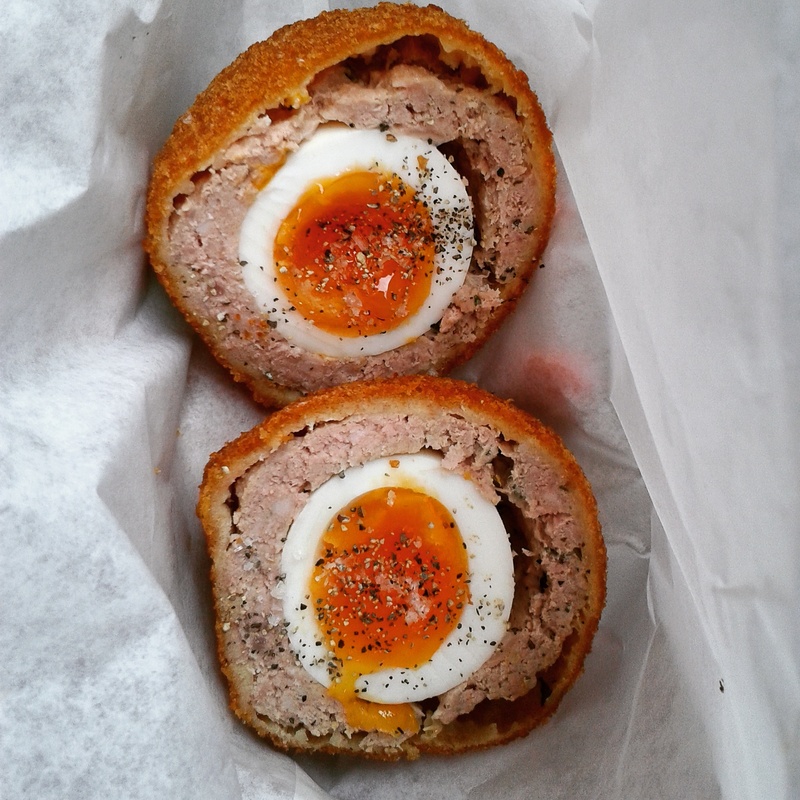 If it’s meat you’re after, you’re spoilt for choice: Herman ze German may have the juiciest German sausages in London, but I especially love a little stand that serves British meaty treats: pork pies and scotch eggs. My love for scotch eggs was sparked by an illustrated English dictionary that I loved browsing when I was in school. I especially loved the food pages, of course, that featured meat pies oozing rich brown sauces and decadent glazed turkeys, all shiny, accompanied by soft mashed potatoes. Then came the scotch egg, encased in a layer of meat and then fried. When I moved here, I was disappointed to find bland, rubbery scotch eggs in supermarket isles, but the recent trend of craft scotch eggs makes me very happy. Borough Market have a scotch egg stand with a never-ending queue and Brewdog serve them as a bar snack. Finest Fayre also have delicious ones, with bright orange yolks cooked to creamy perfection and beautifully crunchy crusts. I especially reccommend the chorizo one. 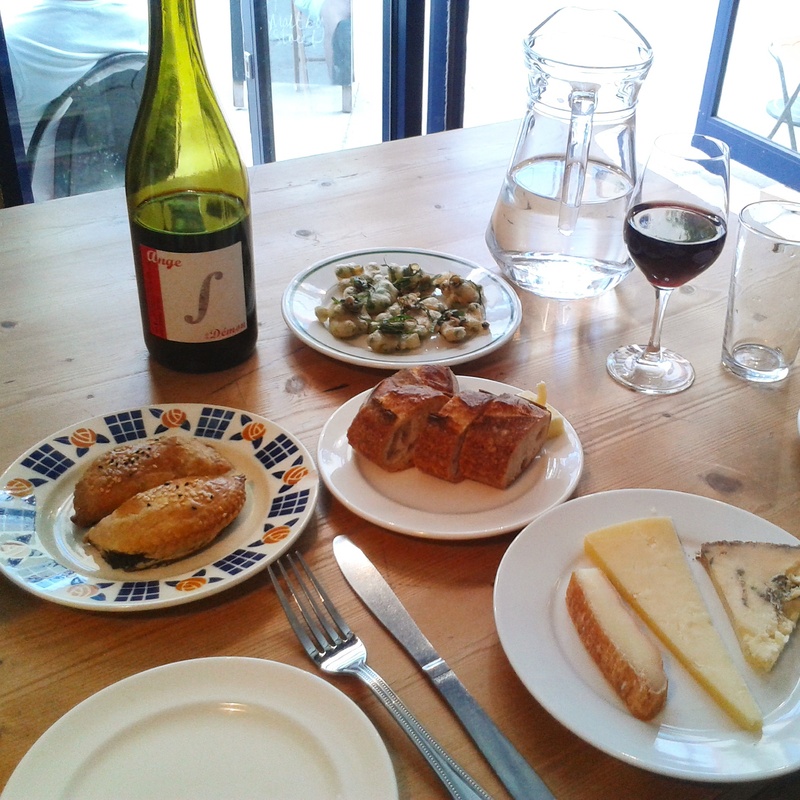 40 Maltby Street is a winery that specialises in organic, chemical-free wines and it’s opened for lunch and dinner at the weekend. Busy and bustling during the market’s trading hours, it’s much quieter after six – which also means you can get a seat. It’s a lovely, charming place with a laid-back atmosphere and very welcoming staff. 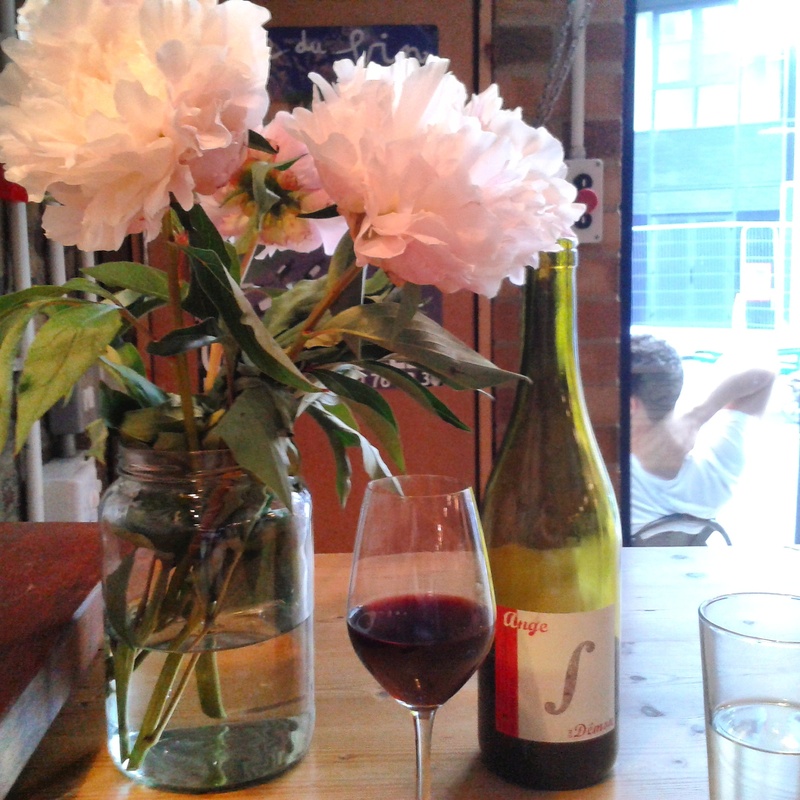 It feels like a neighbourhood place but I’m happy to travel there for a bottle of wine and their incredibly accomplished food. The menu is ever-changing and focused around high-quality ingredients cooked in a simple and innovative manner, that complement the wines perfectly. 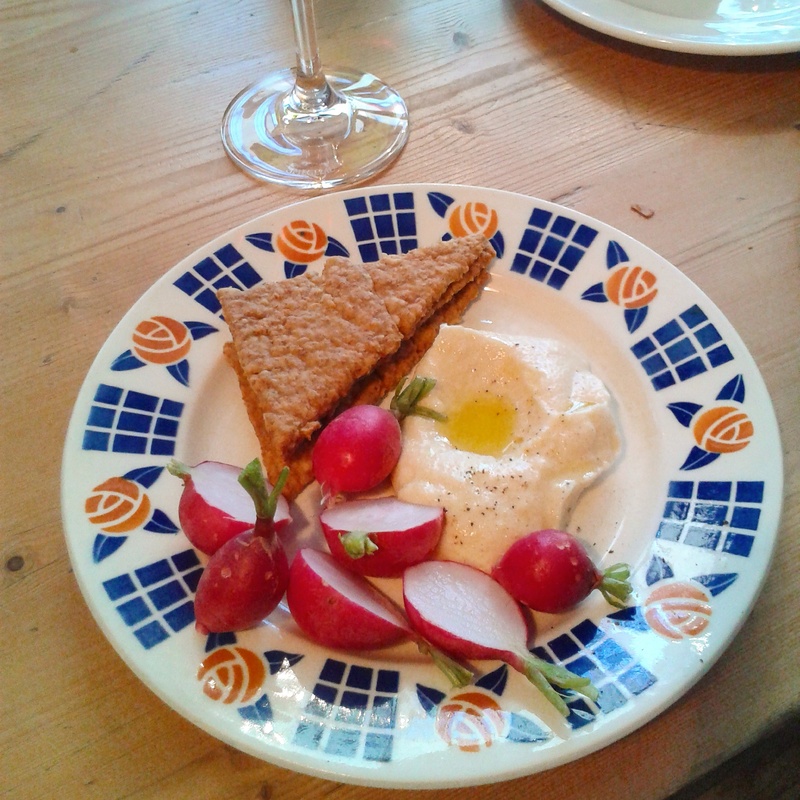 I loved their pea fritters, where the simple bright tarteness of fresh peas cut through the batter; and their creamy smoked roe with crunchy and peppery radishes and oatcakes was the perfect bite to accompany our bottle of red. It’s a great place to go for a date, or with a friend, where you can chat the night away with a bottle of wine and bar bites that just hit the spot. A very meaty affair, this under-archstand serves Mozambique-style burgers with juicy, succulent meat, bespoke peri peri sauces and glazed buns. 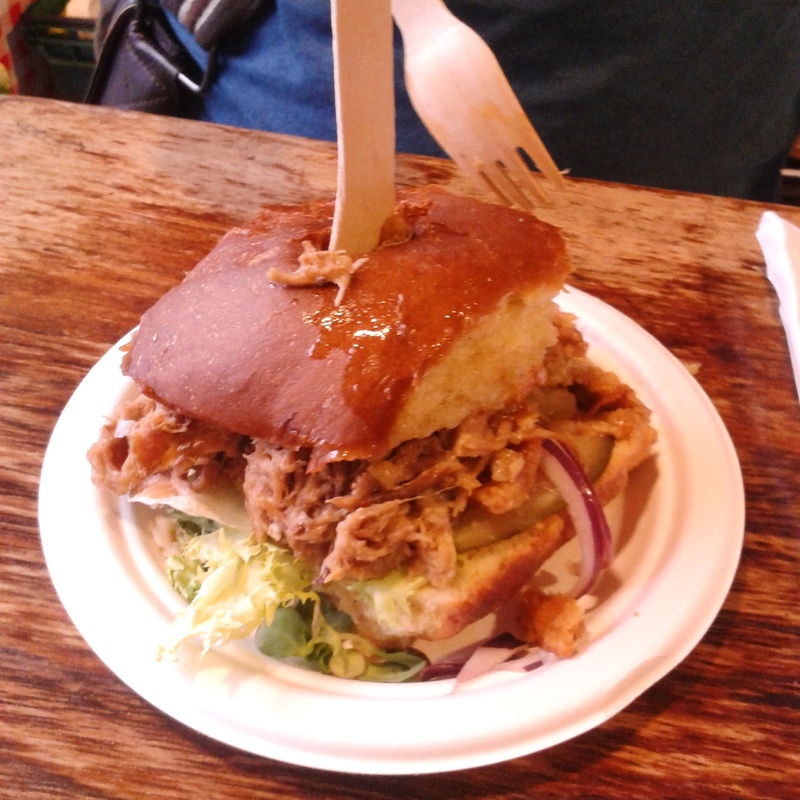 The pulled pork, pictured below, featured a healthy dose of crackling for added crunch. I mostly love its relaxed atmosphere, and the friendly chef distributing large smiles and bits of greasy bacon to the people in the queue. 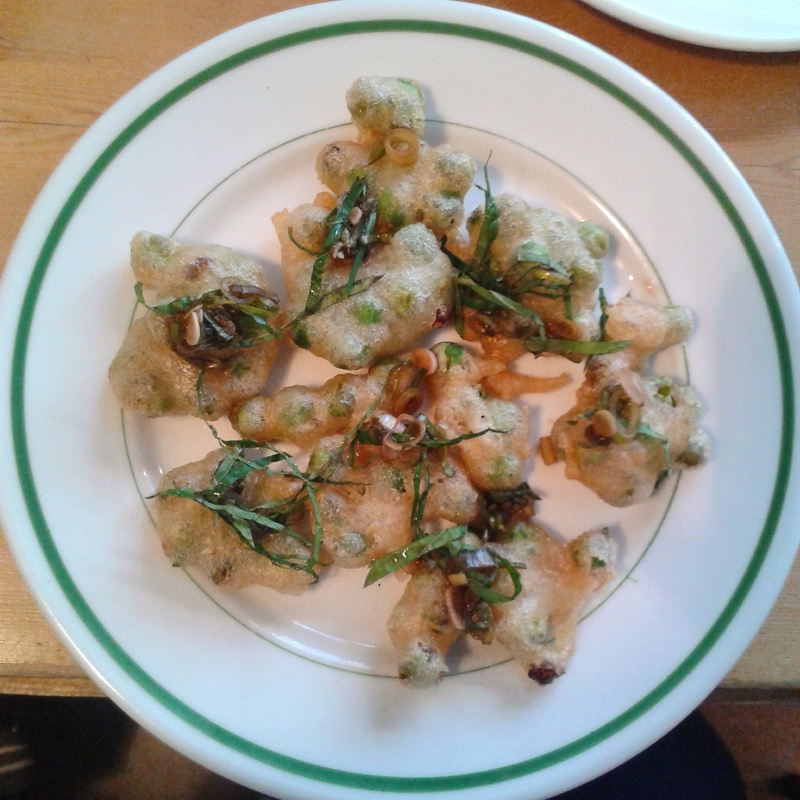 Next Post Bao, Soho. A review and a queue.